Johan Swinnen is Professor of Economics and Director of the LICOS-Centre for Institutions and Economic Performance at the KU Leuven, Senior Research Fellow at the Centre for European Policy Studies (CEPS) and a Visiting Scholar at the Centre for Food Security and the Environment (FSE) at Stanford University. He is a Fellow of the AAEA and the EAAE, was President of the International Association of Agricultural Economists (2012-2015) and is President of The Beeronomics Society. He was previously Lead Economist at the World Bank (2003-04) and Economic Advisor at the European Commission (1998-2001), and has been advisor to many international organizations and governments. He holds a Ph.D from Cornell University, and has published widely on agricultural and food policies, political economy, institutional reform, trade, global value chains, and standards. From prompting a transition from hunter-gatherer, to an agrarian lifestyle in ancient Mesopotamia, to bankrolling Britain's imperialist conquests, strategic taxation and the regulation of beer has played a pivotal role throughout history. Beeronomics: How Beer Explains the World tells these stories, and many others, whilst also exploring the key innovations that propelled the industrialization and consolidation of the beer market. At the same time when mega-mergers in the brewing industry are creating huge transnationals selling their beer across the globe, the craft beer movement in America and Europe has brought the rich history of ancient brewing techniques to the forefront in recent years. But less talked about is the economic influence of this beverage on the world and the myriad ways it has shaped the course of history. Beeronomics covers world history through the lens of beer, exploring the common role that beer taxation has played throughout and providing context for recognizable brands and consumer trends and tastes. 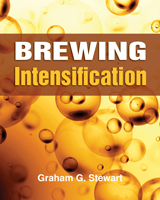 Beeronomics examines key developments that have moved the brewing industry forward. Its most ubiquitous ingredient, hops, was used by the Hanseatic League to establish the export dominance of Hamburg and Bremen in the sixteenth century. During the late nineteenth century, bottom-fermentation led to the spread of industrial lager beer. Industrial innovations in bottling, refrigeration, and TV advertising paved the way for the consolidation and market dominance of major macrobreweries like Anheuser Busch in America and Artois Brewery in Belgium during the twentieth century. We're now in the era of global integration -- one multinational AB InBev, claims 46% of all beer profits -- but there's a counterrevolution afoot of small, independent craft breweries in America, Belgium and around the world. Beeronomics surveys these trends, giving context to why you see which brands and styles on shelves at your local supermarket or on tap at the nearby pub. The Reinheitsgebot: Protection Against Competition or Contamination? From Land to Brand: How Nineteenth-Century Nationalist Politics Planted the Seeds for the Global Trademark Battle Over "Budweiser"